CEBU CITY (Updated) -- Minimum wage earners in Central Visayas will receive P327 a day starting next month, after the Regional Tripartite Wages and Productivity Board (RTWPB) Central Visayas approved Thursday a P22-wage hike after a three-day deliberation. Wage Order 17, which increases the daily minimum wage from P305 to P327, is expected to take effect on December 10 this year. Leaders of the local business sector criticized the RTWPB’s “untimely” decision, saying it will hurt business, particularly the export sector, which has long been suffering due to a decrease in orders and the strengthening peso. Efforts of the business sector to create more jobs will also suffer a setback, they said. This early, the Cebu Chamber of Commerce and Industry is considering asking the RTWPB to reconsider its decision on the wage hike. For his part, Rey Calooy, president of the Filipino-Cebuano Business Club Inc., welcomed the RTWPB’s decision but warned that it can lead to an increase in the cost of products and services. “We welcome it since it passed a thorough deliberation. What we can do is to share the impact: the prices of products and services have to be adjusted to shoulder the salary adjustment,” he said, noting that some 60 to 70 percent of the gross profit in every business goes to salaries and wages. 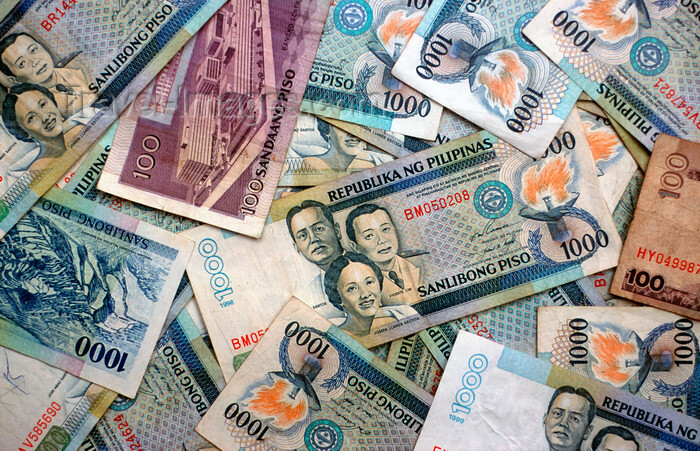 The last wage increase in Central Visayas was approved by the RTWPB in August last year. The amount approved then was P22. Department of Labor and Employment (Dole) Central Visayas Director Ma. Gloria Tango, the concurrent RTWPB Central Visayas chairperson, said the adjustment was a consensus of the two representatives from the management sector and two representatives from the labor sector. Since there was a consensus, a voting on the petitions and intervention from the government sector was not needed, she said. Tango said that after all members of the RTWPB-Central Visayas sign the new wage order, it will be sent to the National Wages and Productivity Commission (NWPC) for its confirmation. Once confirmed, this will be sent back to RTWPB-Central Visayas for publication. The new wage order will take effect 15 days after its publication in a newspaper of general circulation, or on December 10, if the timeline is followed. The Associated Labor Union (ALU) petitioned for a P90 a day across-the-board increase, while the Alliance of Progressive Labor (APL) asked for P121.84 across-the-board hike. Across-the-board means the P22 increase will apply to all workers, including those who receive more than the minimum wage. But Tango said it is beyond the RTWPB’s mandate to grant an across-the-board increase. She said the RTWPB did not grant ALU’s and APL’s proposals because the board does not only consider the welfare of the working class, but also the impact of the wage hike on other sectors, especially the micro, small and medium enterprises (MSMEs). Tango said that because the new wage order will take effect during the Christmas season, Dole will focus on informing the business and labor sectors than on inspecting companies. Meanwhile, lawyer Ernesto Carreon, a labor representative to the RTWPB-Central Visayas, said they pushed for P30 during the deliberation but management representatives Hidelito Pascual and Charles Streegan stood pat on P20. Carreon said they adjusted their position to P22, to which the management sector agreed. For his part, Fred Escalona of PhilExport said they are unhappy with the increase because the MSMEs will not be able to afford it. He said they are bent on seeking an exemption from the new wage order. CCCI president Prudencio Gesta said they maintain their opposition to any increase in minimum wage for now, citing the burden it will cause to the small and medium enterprises (SME) sector, which comprises 90 percent of local businesses. “I do not underestimate the capacity of our SMEs but the increase will definitely have a big impact on their financials to survive, especially the export sector, which has been suffering for many years now due to low orders and appreciation of peso. Thus, the increase is untimely,” Gesta said. He said efforts of the business sector to create jobs will be scaled down. “We are re-assessing our position to send our request for re-consideration to RTWPB,” he added.